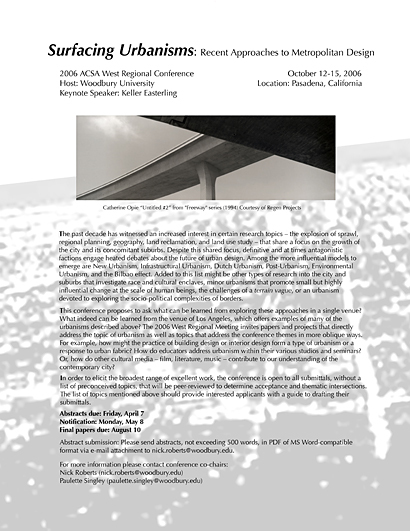 Woodbury University hosted the 2006 ACSA West Conference, co-chaired by Nick Roberts and Paulette Singley on the theme of Surfacing Urbanisms: Recent Approaches to Urban Design. 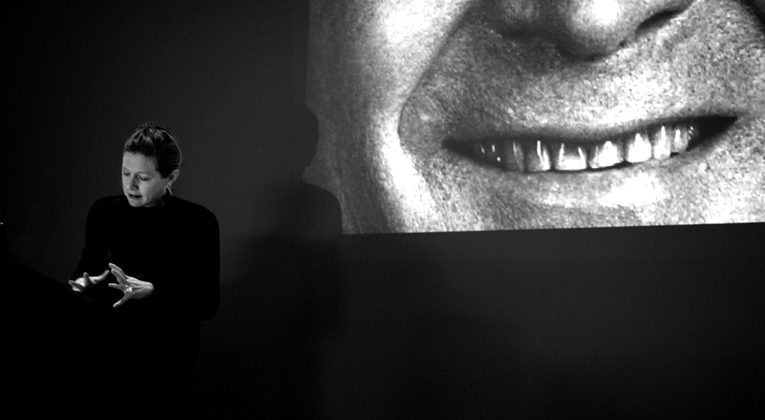 Keller Easterling from Yale University opened the conference with her keynote presentation, and the conference closed with a panel discussion chaired by Dana Cuff that featured Teddy Cruz, Albert Pope, Roger Sherman, and Roemer van Toorn. With over seventy paper presentations and attendees from three continents, the conference was deemed a great success.